Cárter de aceite para refrigeración sola ya. 7-SERIESAluminio ENFRIADOR DE ACEITE. Reduce la temperatura del aceite a 40 ° c! Refrigerador de aceite universal de muy buena calidad. Información general sobre enfriadores de aceite. ÖLFILTERFLANSCH ÖLFILTER ÖLKÜHLER AUDI SEAT SKODA VW 1.6/2.0 TDI CLC CAY CFF CAA. 1x Ölkühler. Sind Sie sich nicht sicher ob das Bauteil bei Ihnen passt ?. SKODA - 03L 115 389B / 03L115389B. SKODA - 03L 115 389C / 03L115389C. Also fits 1.4 Diesel, 1.6 Petrol, 1.9 tdi, 2.0 Petrol and Diesel also 2.5 Diesel of similar ages. 1.8 Petrol [245BHP 180KW] BFV. 1.8 Petrol [225BHP 165KW] BAM, APX. 1.8 Petrol [209BHP 154KW] AMK, APY. 03L 198 441. AUDI, SEAT SKODA VOLKSWAGEN 1.6 2.0 TDI ENGINES. ITEM LISTED:OIL FILTER housing gasket set. Car : SEAT & SKODA. Skoda Octavia 1U2 1.9 TDI. Skoda Octavia 1U5 1.9 TDI. Skoda Octavia 1U5 1.9 TDI 4x4. Seat Alhambra 7V9 1.9 TDI. Skoda Octavia 1U2 1.9 SDi. Skoda Octavia 1U5 1.9 SDi. Seat Ibiza MK II 1.9 TDI. 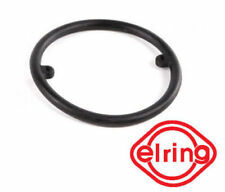 HELLAEngine Oil Cooler and Seal for Audi A3, A4, A6, A8, Audi 80, Audi TT, SEAT Alhambra, Altea, Cordoba, Ibiza, Leon & Toledo, Skoda Fabia & Octavia, VW Bora, Caddy, Mk4 & Mk5 Golf, Jetta, New Beetle, Passat, Sharan & Touran. 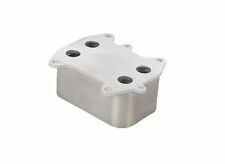 OIL COOLER HOUSING INCLUDING OIL FILTER AND SEALS, WE ALSO LIST THE OIL COOLER IF YOU REQUIRE THAT. BONNETS - BUMPERS - WINGS - FRONT PANELS - HEADLIGHTS - REAR LIGHTS - DOOR MIRRORS. BODY PANELS NO WARRANTY CLAIM ON PARTS THAT HAVE BEEN FITTED BY NON QUALIFIED PERSONS. [1997-2005]. [2004-2008]. [2000-2004]. [1998-2006]. [1995-2001]. [2002-2009]. [1996-2003]. [2004-2013]. Cárter de aceite para refrigeración sola ya. 19-SERIESAluminio ENFRIADOR DE ACEITE. Reduce la temperatura del aceite a 40 ° c! Refrigerador de aceite universal de muy buena calidad. Información general sobre enfriadores de aceite. 13-REIHENALUMINIUM ÖLKÜHLER. 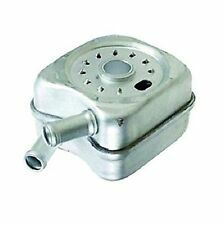 Turbolader von Garrett, Borg Warner,Precision,Turbonetics oder KKK. Doch damit ist noch lange nicht Schluss, wir können Ihnen auch Zylinderkopfbearbeitungen. Ölkühleranlage VW Bus Bulli T2 T3 Ölkühler 19 Reihen Thermostat AdapterplatteEUR 259,00. 1x Ölkühler. 1x Gehäuse. Weitere Informationen: 1x Ölfilter. 1x Satz Dichtungen. Beste Kunden-. Wir sind Mitglied im. 03L 115 389 C.
2 Geberabgriffe zum Einbau von Öltemperatur und Öldruckanzeige. Gebergewinde: 1/8, 27NPT oder M10 x 1.0. Ölschlauchanschluss: M22 Aussengewinde (können auch getauscht werden). Kupplungen von Sachs Performance oder Clutchmaster. 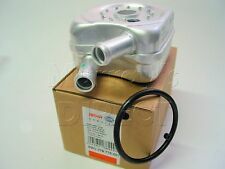 1 x NEW OIL COOLER NISSENS FITS SEE EBAY COMPATIBILITY TABLE PLEASE LEAVE VEHICLE REGISTRATION NUMBER AFTER PURCHASE TO AVOID ANY DELAYS IN THE DELIVERY PROCESS. SKODA FABIA II (542) 1.4 TSI RS 05.10 - 12.14 132 180 8004-AKK. SKODA FABIA II Combi (545) 1.4 TSI RS 05.10 - 12.14 132 180 8004-AKL. SEAT ALHAMBRA (710, 711) 1.4 TSI 06.10 110 150 7593-AFG. SEAT ALHAMBRA (710, 711) 1.4 TSI 06.10 110 150 7593-AFJ. SKODA ROOMSTER ( 5J ) 1.2TDI 2010-2015. SKODA FABIA MK2 ( 542, 545 )1.2TDI 2010-2014. Many cars have more than one option, even though the compatibilty info says that it fits your car. The part might be different to the one on your car, and you may receive the wrong part. ÖLKÜHLER MOTORÖLKÜHLER inkl. Dichtung VW Transporter SEAT AUDI VW SKODA BULLI. 19-REIHENALUMINIUM ÖLKÜHLER. 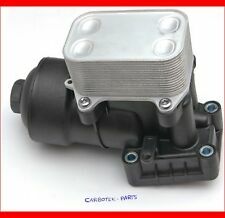 Turbolader von Garrett, Borg Warner,Precision,Turbonetics oder KKK. Doch damit ist noch lange nicht Schluss, wir können Ihnen auch Zylinderkopfbearbeitungen. Ölkühleranlage VW Bus Bulli T2 T3 Ölkühler 19 Reihen Thermostat AdapterplatteEUR 259,00. 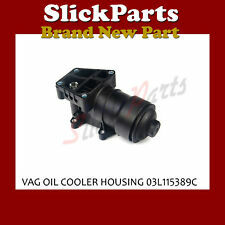 Fits a/c compressors with part numbers 5N0820803, 5N0820803A & 5K0820803E. Skoda - Octavia, Fabia. Delphi Air Compressor Clutch Repair Plate. VW - Golf mk5 & mk6, Eos, Beetle, Caddy, Jetta, Touareg, Tiguan, Bora Polo, Scirocco. Skoda Fabia MK2 ( 542, 545 )1.6TDI 2010-. Skoda Yeti ( 5L )2.0TDI 2009-2017. Skoda Octavia MK2 ( 1Z3, 1Z5 )1.6TDI & 2.0TDI 2009-2013. Skoda Superb MK2 ( 3T4 )1.6TDI 2010-2015. Skoda Roomster ( 5J )1.6TDI 2010-2015. 03C117021D; 03C117021E; 03C117021J. Seat Altea 5P1 (Bj. 2004-2017). Seat Altea XL 5P5, 5P8 (Bj. 2006-2017). Technische Daten Seat Alhambra 710 (Bj. 2010-2015). 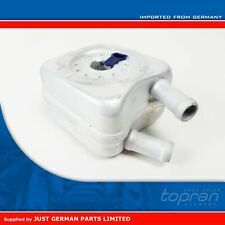 VW Audi Seat Skoda 1.6 1.4 FSI Tsi OIL COOLER 03C117021E. Condition is Used. In excellent condition in perfect working condition. Removed from our 2007 1.4 TSI Touran with only 84k miles with full service history. Postage by my Hermes. I will always endeavour wherever possible to post on the same day as purchase. Please check out my other items as I’m breaking our family car. If you can’t see it listed, I am slowly breaking the car and can list it for you. Please just ask. Thanks for looking. 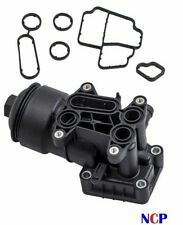 Kit comprises of 1x filter housing, 1x filter, oil cooler and all associated O-rings. 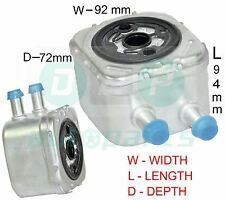 The following part numbers can also be replaced with this part:03L115389H or03L115389G. Transporter T5 [2009-2016] Platform/Chassis, Box. Marke: Hajus. 1 x Ölkühler für Motoröl. Audi A3 (8P1) 2.0 TFSI 1984 147 200 2004/09-2012/08 0588-860, 0588-ADO, 0588-AIH. Audi A3 (8P1) 2.0 TFSI quattro 1984 147 200 2004/09-2012/08 0588-857, 0588-ADP, 0588-AII. Kupplungen von Sachs Performance oder Clutchmaster. Blow/Popoff Ventile von Tial, Greddy, HKS, Turbonetics und Blitz. 7-REIHENALUMINIUM ÖLKÜHLER. Getriebe Differentialsperren von Peloquin und Quaife. VW TRANSPORTER T3 Bus 1.6 TD 08.84 - 07.92 51 70 1589 0600-753. VW TRANSPORTER T3 Bus 2.1 08.84 - 07.92 82 112 2110 0600-640. VW TRANSPORTER T3 Bus 2.1 08.84 - 07.92 82 112 2110 0600-636. VW TRANSPORTER T3 Bus 2.1 08.85 - 07.92 70 95 2110 0600-784. 045115389C 045115389E 045115389J. Part number : 045115389C 045115389E 045115389J 045115389H. SKODA COMPLETE OIL COOLER UNIT. VW AUDI SEAT. “ The spare parts experts of SKODA VOLKSWAGEN SEAT ". OIL COOLER UNIT. OE Teile Nr: 03P115389B. Ölfilter Gehäuse Mit Dichtungen. Mit Ölkühler und Filter. [1988-1997]. [1988-1996]. OEM Part Numbers [1998-2010]. 03L 198 070. AUDI, SEAT SKODA VOLKSWAGEN 1.6 2.0 TDI ENGINES. ITEM LISTED:OIL COOLER gasket set. Frigair-nr: 0710.4006 | restricción en cuenta! Gewinde Ölfilteranschlussadapter 1:M20 x 1,5. Gewinde Ölfilteranschlussadapter 2:3/4" - 16UNF. Kupplungen von Sachs Performance oder Clutchmaster. Blow/Popoff Ventile von Tial, Greddy, HKS, Turbonetics und Blitz. FEBI OEM QualityEngine Oil Cooler & Seals for Audi A3, A4, A5, A6, Q5, Q7, SEAT Altea, Exeo, Leon & Toledo, Skoda Fabia, Octavia, Superb, Yeti, VW Caddy, Eos, Golf Plus, Mk5 & Mk6 Golf, Jetta, Passat, Scirocco, Sharan, Tiguan, Touareg & Touran. Skoda Fabia [2006-2014] Hatchback, Estate. Skoda Octavia [2004-2013] Estate, Hatchback. Skoda Roomster [2006-2015] MPV. Skoda Superb [2008-2015] Hatchback. Skoda Yeti [2009-2016] SUV. 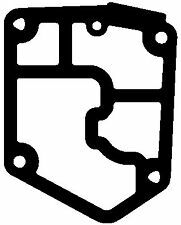 COOLER HOUSING CAP FILTER GASKET. PART NUMBER - 04E117021C. SKODA FABIA 1.2 LITRE PETROL 2015 MODEL. OIL COOLER. PAINT CODE - LF5W RACE BLUE. South Yorkshire. The Blue Containers. AJ SPARES is a large independent Vehicle Dismantlers. Seat Altea 5P1 (Bj. 2004-2017). Seat Altea XL 5P5, 5P8 (Bj. 2006-2017). Skoda Roomster 5J (Bj. 2006-2015). Skoda Fabia Combi 545 (Bj. 2007-2014). 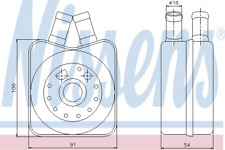 Reference Part Number: 03P 115 389 A. SEAT Ibiza. SKODA Fabia/Roomster. Searching by Part Number, that's. Netzmaße 90 x 90 x 54 mm, Material Aluminium. SKODA FABIA I (6Y2) 1.4 TDI 10.05 - 03.08 51 70 1422 Hatchback. SKODA FABIA I (6Y2) 1.4 TDI 04.03 - 03.08 55 75 1422 Hatchback. SKODA FABIA I (6Y2) 1.9 SDI 12.99 - 03.08 47 64 1896 Hatchback. 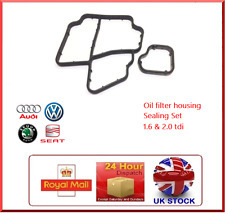 New VW Seat Audi & Skoda Oil cooler Repair Kit. Skoda Fabia, Octavia, Roomster, Superb. 1.4 1.8T 1.9 TDI 2.0 Engines. VW Beetle, VW Bora, VW Caddy, VW T5, VW Crafter, VW Golf MK4 MK5, VW Jetta, VW Lupo, VW Passat, Sharan, Touran. SKODA ROOMSTER 1.4 LITRE DIESEL 5 SPEED MANUAL 5 DOOR 2009 MODEL. OIL COOLER. South Yorkshire. The Blue Containers. AJ SPARES is a large independent Vehicle Dismantlers. PICTURE OF THE CAR IS FOR ILLUSTRATION ONLY. Los pedidos internacionales pueden tomar entre 5-10 días laborables a llegar después de envío. [1988-1997]. VW Passat 35i 1.9 TDI. [1988-1996]. VW Passat 35i 1.9 TD. VW Passat 35i 1.9 D. VW Passat 35i 1.8 G60 Syncro. 28117021B, 028117021B, 28117021K, 028117021K, 028117021L, 28117021L. Skoda Roomster --[2006-2015] MPV. Skoda Roomster Praktik --[2007-2015] Box. Skoda Fabia --[2006-2014] Estate. Skoda Fabia --[2006-2014] Hatchback. 038117021B, 038117021C, 038117021A, 038117021E, 038117021D. Car : SKODA. Skoda Yeti 5L 2.0 TDI 4x4. Skoda Octavia 1Z3 2.0 TDI. Skoda Octavia 1Z3 2.0 TDI 16V. Skoda Octavia 1Z3 2.0 TDI RS. Skoda Octavia 1Z5 2.0 TDI. 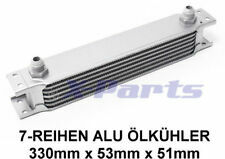 VW Passat 3C Ölkühler Ölfilter 038 117 021 B. PASSAT (3C, 05/07-)/3C, 05/07-,LIM. Fahrzeugtyp: VW » PASSAT (3C, 05/07-). 038117021B ändert sich in. Audi A3 (8P) 1.8TFSI. Audi A3 (8P) 2.0TFSI [CAWB, CCZA, CBFA Engines]. FEBI OEM QualityEngine Oil Cooler & Seal for Audi A3, A4, A5, A6, Q5, Q7, TT, SEAT Alhambra, Altea, Exeo, Leon & Toledo, Skoda Octavia, Superb & Yeti, VW Amarok, Beetle, Eos, Jetta, Passat, CC, Scirocco, Sharan, Tiguan, Touareg T5 & T6 Transporter & Touran. Prüfen Sie welches Teil im Fahrzeug montiert wurde und mit dem Foto vergleichen. TOP PREIS! Dicke/Stärke [mm] 54. Breite [mm] 90. OE Teile Nr: 06D115397K. Ölfilter Gehäuse Mit Dichtungen. VW AUDI SKODA SEAT. OE Teile Nr: 03L115389C. Ölfilter Gehäuse Mit Dichtungen und Ölkühler. 1.6 TDI 2.0 TDI.